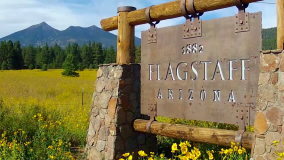 UPDATED 11/2/2017: Yes, I know, I live here and I have yet to post my favorite places in Flagstaff. But since I'm on the road about 200 days a year, I guess that's to be expected! Lately, I've crossed paths with a few people from other communities asking for my recommendations in Flagstaff, so here they are! Formerly The Cottage Place, this is a reboot by Chef Scott Heinonen, my favorite chef in Flagstaff. Delicious French bistro food, impeccable service, and a lovely setting. Definitely the place to go for a special occasion. Chefs Joe and Dara have created a lively little restaurant focusing on flavorful and beautifully plated tapas-like dishes. A Latin American inspired menu with really good tostones (crispy, twice fried plantains) and huevos con carne. I also like the jalapeno burger. My (out of date) review is here. They have three properties--Tinderbox Kitchen is a small, higher end dining room, The Annex is a creative cocktail bar, and the Tourist Home Urban Market is a breakfast/lunch place. General Manager Kevin Heinonen and his team are a very dedicated team! This is a higher end sushi place, kind of Scottsdale meets Flagstaff. In addition to sushi, I go for the tonkotsu ramen. This is more functional sushi--not much atmosphere, but solid food and service, easier parking and a bit cheaper. This is our family night sushi. Neopolitan style pizza from a wood burning oven and good pastas. John Conley, the chef-owner, is also an all around great guy! Great brisket and pulled pork, but in reality, I go for the tater tots. No, that's an exaggeration, but the tots are incredibly good. Go for the chilaquiles. Be prepared to wait in line. Where Pluto was discovered! Check out the restored Clark Telescope. Open both day and night--I suggest doing both if you have time. I adore this place, and it's not just because I used to work there. It speaks to my nerdiness. Lots of activities here in the summer, and a great educational place to learn about native plants. Good way to get a sense for the indigenous cultures of the region. We have four national parks within easy driving distance: Walnut Canyon, Sunset Crater, Wupatki and the Grand Canyon, of course. Get an Interagency Annual Pass and you'll get your money's worth right away. Scenic railroad to the Canyon--worth doing at least once. Sedona is also about 45 minutes away. This post first appeared on the Alice's Restaurants blog.